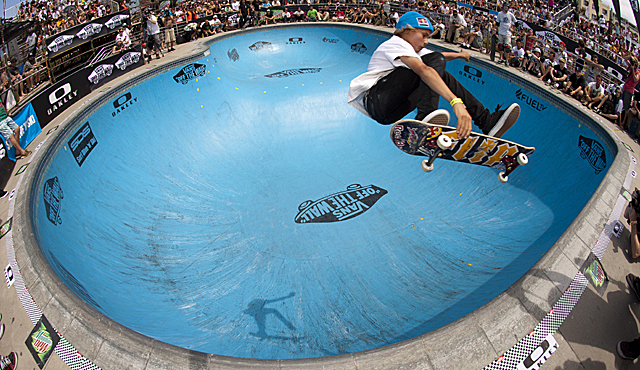 Curren Caples is no stranger to big contests, born in Ventura, California, USA, on January 10, 1996, he started competing in the X Games in 2010, finishing 4th in the skatepark event against competitors more then twice his age. To better put this in perspective, when the X Games first kicked off back in 1995 Curren had yet to be born. The thought that he is just getting started is a scary one. Currently sponsored by Flip Skateboards, Independent Truck Company, Bones Wheels, Hurley, Vans, and Red Bull Curren Caples just gave an interview to Push.Ca.